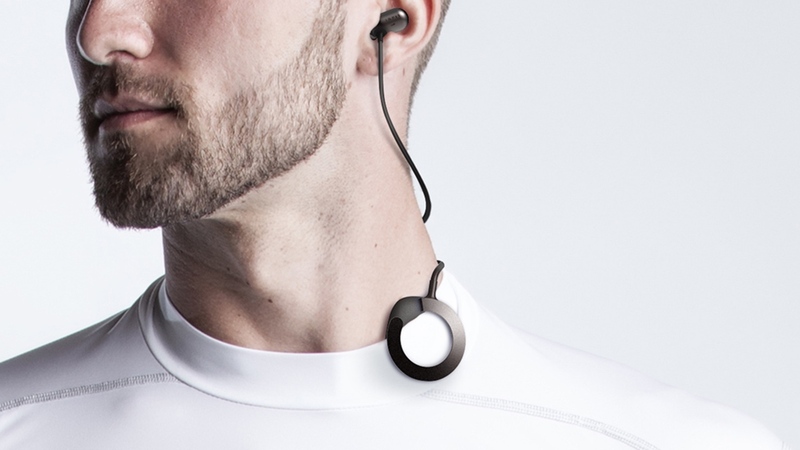 We said hearables would be a breakout theme for 2016 in our Wareable 50 at the back end of last year and it didn't take long for Misfit to get in on the act by announcing the Specter headphones at CES 2016. Not to be confused with Danny Craig's latest adventure as 007, the Specter in-ears are wireless so you can play music from your smartphone via Bluetooth but will also be compatible with the Misfit Link connected platform letting you access a host of as yet unnamed services, apps and hardware. They've been designed in partnership with 1More, a company that's produced headphones for a certain up and coming company called Xiaomi. Misfit has also managed to get an endorsement for the Specters from 4-time Grammy winner and record producer Luca Bignardi. He's basically worked with a host of Latin artists that you probably haven't heard of. There's still activity and sleep tracking on board thanks to the embedded accelerometer, and they've even been designed to wear comfortably when you're going to bed. All of that data can be viewed through the existing Misfit smartphone app. The magnetic earbuds also include Smartpause technology, although it's not clear yet how that feature works. These are headphones of course and need to sound great, so Misfit is relying on dual drivers to deliver "clean, rich sound quality". We'll reserve judgement until we've had a thorough listen though. Misfit said more Specter details will be announced in spring 2016, but has yet to reveal when it'll be available or how much it'll cost. It's certainly an ambitious move, but this is a company that's quickly growing a reputation for thinking outside of the box in the quest to make wearables (or hearables) do much more.